The winning students were Valay Agarawal from Jaipur and Utkarsh Gupta from Guna who won gold medals, while Sharvik Mittal from Bhopal and Kartik Patekar from Indore bagged silver medals. 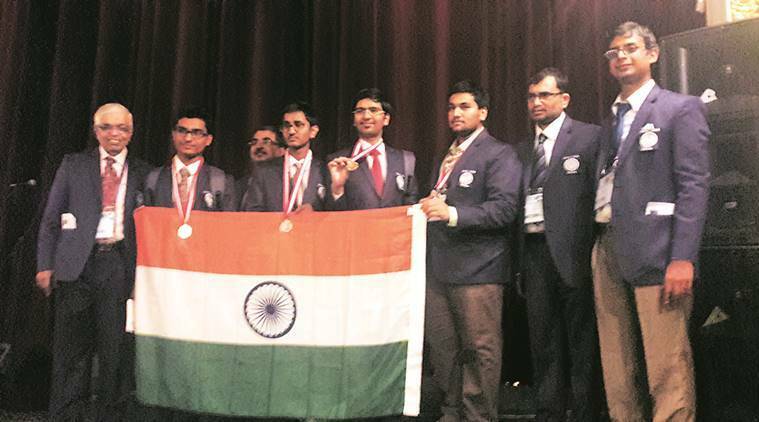 Led by a team of senior scientists and professors from Pune, a team of Indian students bagged two gold and two silver medals at the 48th International Chemistry Olympiad held in Tbilisi between July 23 and August 1 in the Georgian Agricultural University. China with four gold medals topped the list, while India grabbed the sixth position at the Olympiad. The team was led by professors Arvind A Natu from Indian Institute of Science Education and Research (IISER), Pune, Avinash Kumbhar from Pune University, Anindya Datta from IIT Mumbai and Dr Ankush Gupta from the Homi Baba Centre for Science Education. More than 265 students from 65 countries, including the US, Germany, France, Russia, China, Japan, Australia, Canada and the UK along with many Afro-Asian countries participated in the event. The Indian team was selected from 40,000 aspiring Standard 12 students through a series of three-tier screening system. Finally, four candidates were selected to represent the Indian team. At the Olympiad, the level of the students was judged based on theory and practical tasks, testing logical and analytical capabilities which were innovative and challenging. Next competition will be held in Bangkok in 2017.